Looking for a way to sustain your Keto diet but unable to commit to the menu research, meal prep, and cooking time? Or are you searching for a Keto meal delivery service that works with your dietary restrictions and fitness goals? Look no further! We’ve researched several companies who offer customers fresh, keto friendly meals delivered straight to your door. There are a variety of reasons you might have chosen to follow a Keto diet. You might be interested in losing weight, supplementing your physical training, hoping to improve brain function (they have been studying the diet with people suffering from epilepsy although it’s early days), or hoping to lower your risk of diabetes or heart disease. There are a number of people in the Paleo community that have experimented with Keto diets, for example Robb Wolf, one of the names originally synonymous with the Paleo movement. A growing number of people swear by the Keto diet, but it comes with a series of challenges. Whatever your reason for following a Keto nutrition plan, the main drawbacks of the diet seem to be the strict nutritional requirements, and the time it takes to plan for and prepare Keto meals. For starters, people who follow the Keto diet find themselves having to completely rethink the way they eat, meticulously researching nutrition facts, recipes, and keto-friendly products to help them stay committed to a very challenging meal plan. Another real challenge in following the Keto diet is finding time to accomplish all that research, meal prep, and cooking. In the past, people looking for a bit of help maintaining their Keto diet have had limited resources at their disposal. But all that is changing. As the popularity of the Keto diet has surged, there are now many companies who cater specifically to customers following a strict Keto plan. If you’re committed to Keto, but can’t find the time to plan and prepare Keto meals, look no further: you’ve come to the right place! Below, we’ve researched several companies committed to helping you achieve your weight loss goals and take the stress out of dieting. Read on, and hopefully you’ll find a few companies that work for you and your lifestyle. Whether you’re worried about the stress of following such a strict meal plan or are simply looking to save time during your week, there are many companies dedicated to helping you manage your Keto diet. While there are quite a few companies that offer low carb meal plans, the companies featured in our article create meals especially for Keto customers. These companies create menus containing only low-carb, high fat meals, and they ship anywhere in the United States. 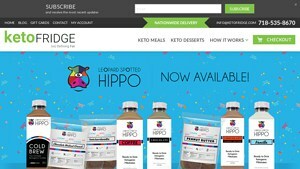 You’ll find Keto Fridge at the top of any list detailing premade Keto meal delivery. The company is dedicated to providing high fat, moderate protein, and low carb meals to customers anywhere in the US. 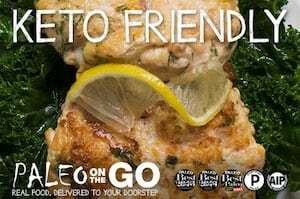 Keto Fridge knows that following a Keto diet isn’t just a challenge at dinner time, and so they offer customers a menu that changes weekly and offers not only lunch/dinner options, but breakfast options too. Customers can order meals like Alabama white barbecue pulled pork with a Keto biscuit, or cheddar and shrimp cauliflower grits. Customers interesting in order breakfasts can order items like Keto Fridge’s bacon-wrapped breakfast burrito. Coming soon, the company will also offer Keto snacks and meal-shakes. 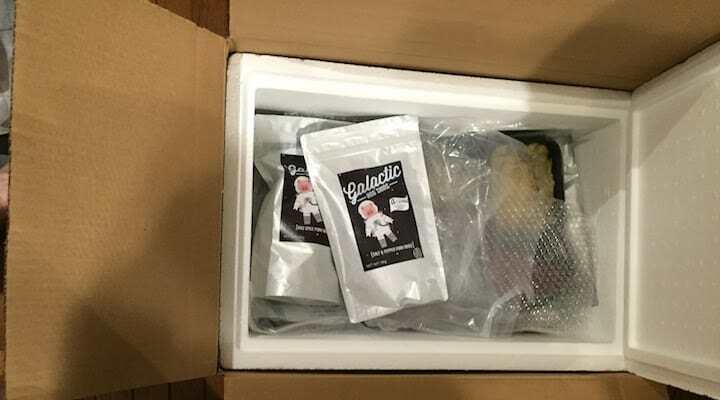 Meals from Keto Fridge cost anywhere between $14 and $17 and customers need to order at least five meals per shipment. Ordering on a Tuesday or a Wednesday means that meals arrive by Friday and stay fresh for at least seven days (you can also freeze them for up to two months). The company is located in New Brunswick, New Jersey but ships all over the United States. For customers looking for a more organic option for Keto meal delivery, Ketoned Bodies uses only organic produce and grass-fed, pastured protein. They pride themselves on sourcing food from local vendors, and also cook all of their food in stainless steel cookware – which is important for some. Unlike other meal delivery services, their menu doesn’t seem to change weekly, but does include appetizing options like chicken enchiladas, filet tip scaloppini, and slow-baked, wild-caught salmon with asparagus. The company also has a list of Keto-friendly snacks you can purchase. Meals from Ketoned Bodies are a bit more expensive than those from Keto Fridge, and range from $15 to $20 (for their ribeye). Food is shipped anywhere in the US from their Hoboken headquarters – in fact, if you live in the NYC area, there are free and/or discounted shipping options. The food arrives in microwave safe containers, ready to be heated and served! We earn a commission from some links in this article. Thank you for supporting us!! Click here for more detail. There are many companies online that offer pre-made meal plans that cater to specific diets. Companies that specialize in low-carb, Paleo and Whole 30 meals have been reaching out to a broader client base by in some cases offering customers a plan designed around the Keto diet. The companies we’ve listed in this section offer several diet plans, where Keto is among them. The companies below offer rotating menus and nationwide shipping. While they may not offer as many meal options as companies catering solely to the Keto diet; many have close ties to local vendors and craft their meals from local produce and protein. They’re worth checking out! True Fare used to be known as Pre-Made Paleo, a company that focused on offering Whole30, Paleo-compliant meals. 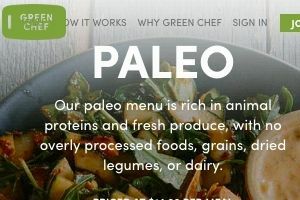 Paleo’s grain, dairy, soy, and legume-free diet is not too dissimilar from the Keto diet, and recently Pre-Made Paleo has started offering a Keto plan (as well as a la carte, Keto meal options). Rebranded as True Fare, the company offers a five day Whole30 and Keto meal plan complete with fifteen meals (breakfast, lunch, and dinner) as well as five snacks. Customers can also order ten days of Keto-friendly breakfast skillets. One of True Fare’s draws is their list of hard-to-find specialty items like water buffalo breakfast sausage or ground alpaca. They also offer RX bars and trail mix snacks. Customers can order food shipped fresh or frozen, and True Fare delivers anywhere in the US. Trifecta Nutrition offers a number of meal delivery lines, all made with 100% USDA certified ingredients including grass fed or wild proteins. All Trifecta meal lines are soy, dairy and gluten free and shipped fresh (non-frozen). In speaking with Trifecta co-founder Elizabeth Connolly about the Keto diet, she mentioned Trifecta is “participating in a study with Harvard on the Keto diet. We’ll be providing the participants with Keto food for the duration and they’ll be measuring the affects”. “For the time being, those meals will just be available for study participants so we’re directing anyone interested in Keto to our A La Carte section…here they can order ready to eat meat and fish and then make up the rest of their diet with healthy fats on their own like nuts, avocado, olive oil, canola oil or any natural nut butter. They can do every other week or once a month deliveries (instead of weekly) so that they can reach the $119 delivery minimum. Since the food lasts 2 weeks in the fridge and 6 months in the freezer, this works out a lot better for many customers”. So although the Keto study meals are not yet available to the general public, through their A La Carte plans Trifecta has some great options available for pre-cooked Keto meal components. Caveman Chefs is a company based in the Denver area – so if you’re local, you have the option to pick up your meals for free at several nearby cross-fit locations! Not local, don’t worry, Caveman Chefs will ship your meals to you, no matter where in the continental US you live. 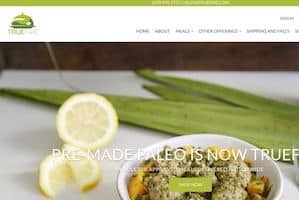 The company creates Paleo meals but, unlike many Paleo meal companies, offers customers the opportunity to customize meals to meet their specific diet plans. 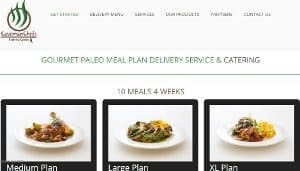 Caveman Chefs actually has an option for Keto meals and will customize all their meals to meet Keto diet requirements. The company uses locally sourced, organic produce and grass-fed beef. They offer globally inspired and enticing meal options like Korean barbecue fish and Greek lamb salad. Caveman Chefs requires you order a month’s worth of meals in advance – with the minimum order containing 24 meals – but customers can customize their portion sizes. Factor 75 prides itself on the quality of its ingredients, offering their customers meals created from ingredients that are organic, non GMO, grass-fed, pasture-raised, and soy and gluten-free. The company partners with doctors and dieticians to create meals that focus on science-based nutrition. Their menu is easy to read, and customers looking for keto-friendly meal options need only to look for the green “K” in the corner of each option. 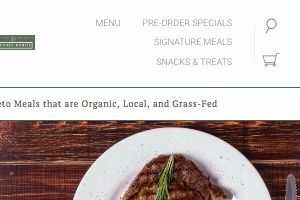 A current sample of their keto food delivery service meals include: grass-fed burger with tomato and bacon chutney, steak with tomato-basil salsa, and salmon with an avocado sauce. Factor 75 even has breakfast options, like their frittata or pumpkin pancakes (made from almond flour). Customers concerned about ingredients can click on each menu option to see the nutrition facts. Headquartered overseas, the Factor 75 keeps a kitchen in Chicago and will ship its meals anywhere in the continental US. For customers who are new to cooking meals that comply with the Keto Diet, you might be interested in ordering a Keto meal delivery kit. If you’re looking to save time during your week, but want to cook your meals fresh, this is a good option. 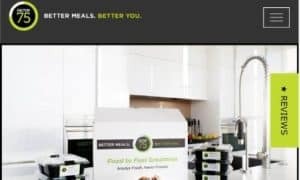 For now, only one company (Green Chef) offers Keto meal kits (as opposed to keto diet food delivery), but we’ll try and update our list as other options come out. 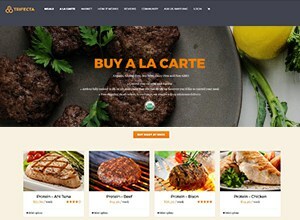 Green Chef has several diet plans customers can choose from – one of which is Keto. Green Chef’s Keto home delivery meals are made almost exclusively from organic ingredients. Their plan is new and features delicious recipes like merguez chicken, sesame tuna, and mustard pork. One box from Green Chef contains ingredients enough for six meals (two servings of each meal). Their menu rotates weekly, giving customers a variety of diverse menu options (and recipes!) to add to their repertoire. Keto meals cost about $15 a meal (about $90 a box plus shipping), which puts it on par with most of the other meal delivery services on our list. Customers get ingredients enough for two servings of each meal as well as colorful, easy-to-follow recipe cards. The meals take about only 30 minutes to make. Because the Keto Diet is so restrictive, and Keto-friendly snacks are often difficult to find in your local market, we’ve included in our list a series of subscription boxes that cater specifically to clients interested in supplementing their keto delivery meals with a snack-box service. Keto Krate is a monthly subscription box that offers 6-8 snacks as well as 20+ dollars in coupon savings per box. There are no contracts, and customers can cancel their subscription anytime. The Keto Box is a monthly subscription service that offers 7-10 “Keto essentials” per box, as well as free shipping. Keto Delivered is a monthly subscription service that sends customers 5-7 small-batch, Keto-friendly products as well as complimentary recipes featuring those products. Shipping is free. My Keto Snack box is a monthly subscription service that offers between 6-10 keto-friendly products. Shipping is free. Keto Goodies is a bit different than the other monthly subscription boxes: it offers Keto-friendly baked goods (up to twelve per box). Shipping depends on location. What we hoped you’ve discovered from our article is that there are options to help make your Keto diet easy to maintain. Whether you’re interested in ordering a week’s worth of pre-made Keto meals, or are looking to get a monthly subscription box of Keto-friendly baked goods, there is a keto food service that will likely fit your needs. There are tons of low carb, high fat diets out there, but many people looking to jumpstart their weight loss goals and supplement their workouts find themselves turning to the Keto Diet. A more extreme cousin of Atkins, the Keto diet is one that strictly limits carb intake, moderately limits protein intake, and ups the intake of healthy fat, causing the body to enter Ketosis and burn stored fat instead of glucose. As the popularity of the Keto diet expands, so too do the number of keto delivery services catering to customers looking for Keto meals, meal plans, and snacks. Hopefully one of these options will work for you but if not, keep checking back – and if you find a company you love, let us know!